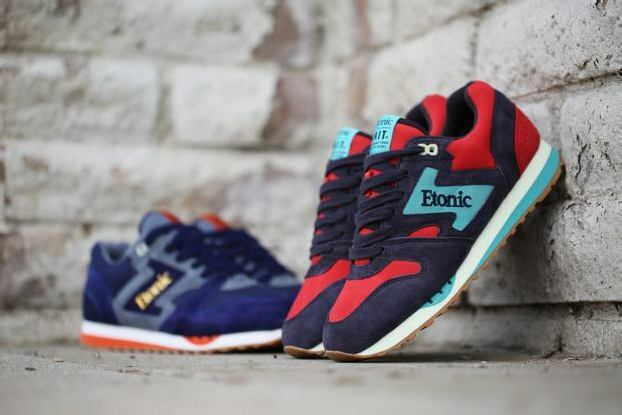 BAIT and Etonic will launch their first collaboration, the “Horizon” Pack, on Saturday, February 14, 2015. 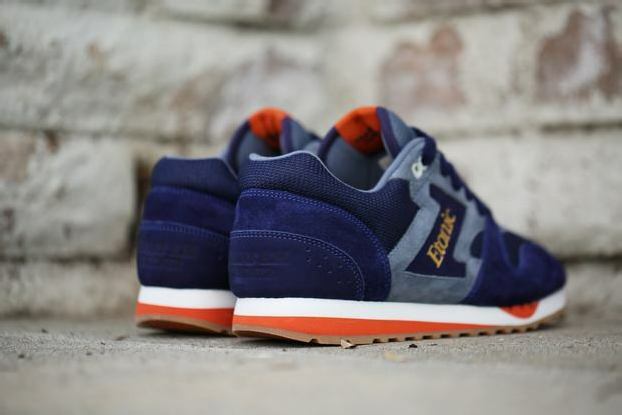 The pack presents two unique renditions of the mid-eighties/early-nineties Trans Am trainer – one inspired by the sunrise on the horizon, the other by the sunset. 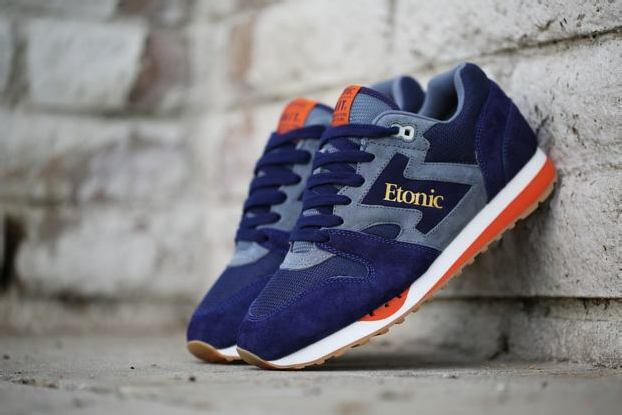 The “Sunrise” Trans Am incorporates a cooler navy, grey, and orange color palate, along with metallic gold foil print for the Etonic branding. The upper combines luxurious pigskin suede with mesh panels for an on-the-go design that’s suited for an active day ahead. 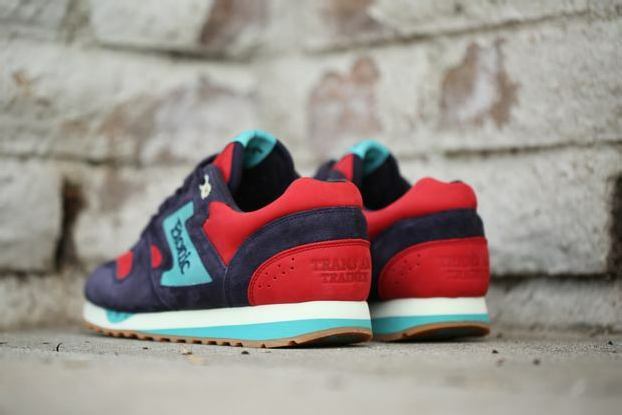 Meanwhile, the “Sunset” Trans Am utilizes a warmer combination of red, navy, and wasabi green colors. The colorway is done in a mix of pigskin suede and nubuck leather materials that is better suited for nighttime activities. 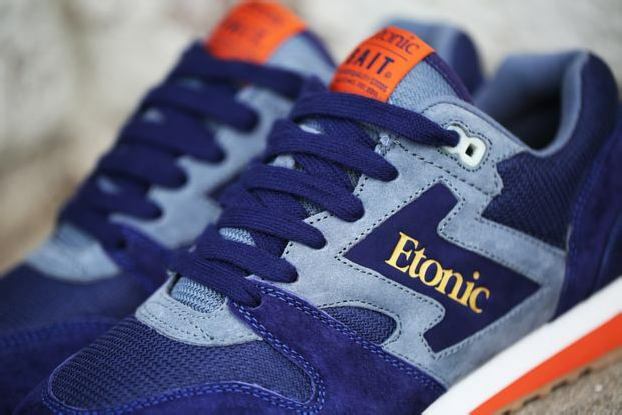 Both the “Sunrise” and “Sunset” are furnished with a rubber gum outsole and BAIT-branded three-piece insole. 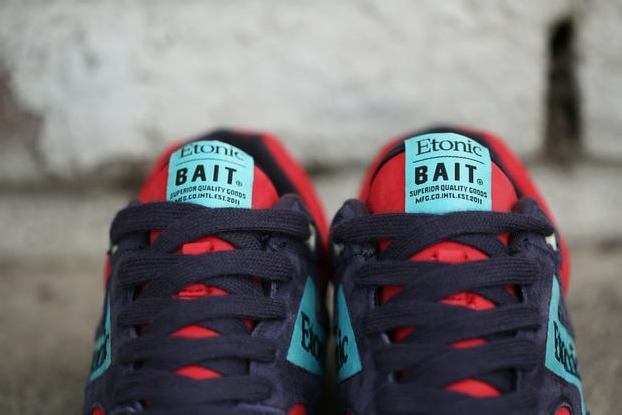 The BAIT x Etonic Trans Am “Horizon Pack” will be available in-store at all four BAIT locations and online at BAITme.com. The “Sunrise” will retail for $110 USD; the “Sunset” will retail for $120 USD.